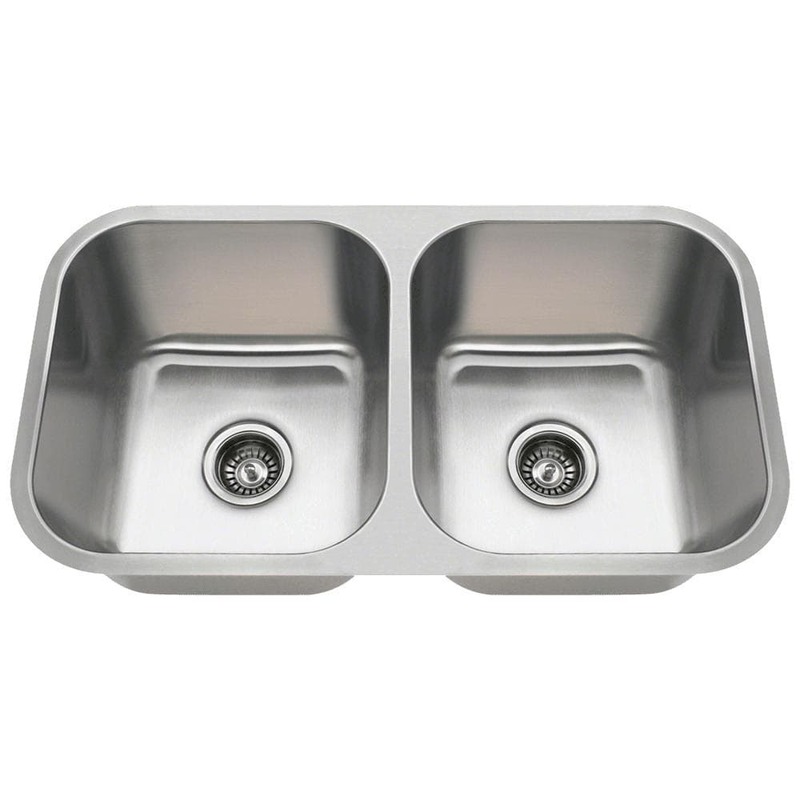 The 3218A is part of our new line of economically-priced sinks. It is constructed from 18 gauge, 304 grade stainless steel. The surface has a brushed satin finish to help mask small scratches that occur over time and will keep this sink looking beautiful for years. The overall dimensions of the 3218A are 32 1/4" x 18" x 9 1/4" and a 33" minimum cabinet size is required. The 3218A has the same outer dimensions and cutout size as the 3218B and 3218C and a cutout template is included with purchase. Also this sink is fully insulated and comes with sound dampening pads. As always, our stainless steel sinks are covered under a limited lifetime warranty for as long as you own the sink.